US administration officials who purportedly claim to want to improve the living conditions of Palestinians in the Gaza Strip are “liars,” Palestinian Authority President Mahmoud Abbas said on Wednesday. Abbas, who was speaking at the opening session of the PLO Central Council in Ramallah, also vowed to pursue efforts to thwart US President Donald Trump’s yet-to-be-unveiled plan for peace in the Middle East and the Jewish Nation-State Law. He also pledged to continue payments to Palestinian security prisoners and families of “martyrs” killed while carrying out terrorist attacks against Israel. 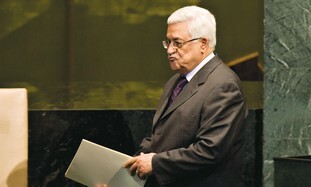 Abbas said that the two-day PLO conference, which was launched in Ramallah on Wednesday evening, will discuss Trump’s upcoming plan, the “racist” Nation-State Law and other Israeli measures, including the decision to demolish the Bedouin shantytown of Khan al-Ahmar east of Ma’aleh Adumim and relocate its residents to near Jericho.